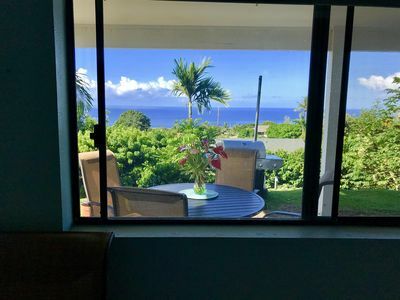 Kahaluu Bay Villas is perfect for a small family or group of friends. 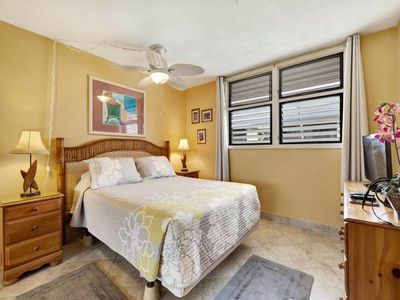 This vacation rental has 1 bedroom, 2 bathrooms, and a private lanai making it capable of accommodating up to 2 guests. 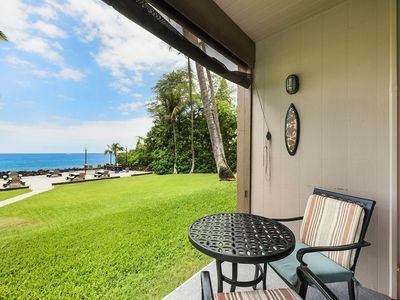 Vacationers will love the location of this Big Island of Hawaii home. 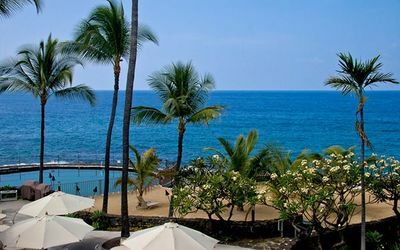 Kahaluu Beach Park is right across the street and one of the best snorkel beaches on the Kona Coast. 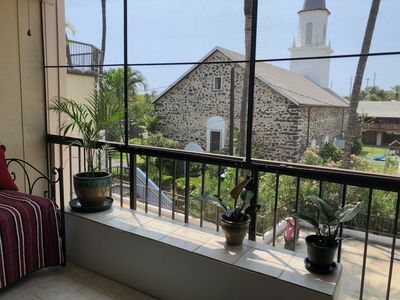 The Keauhou Shopping Center is a quick car ride or Uber away with plenty of shopping, restaurants, and a movie theatre. 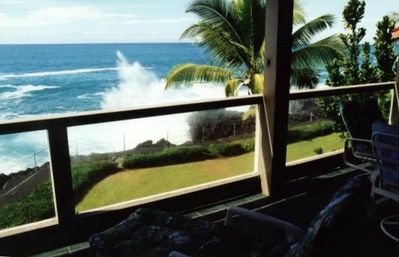 Kahaluu Bay Villas #201 opens into a bright living room with sliding doors to a gorgeous lanai. 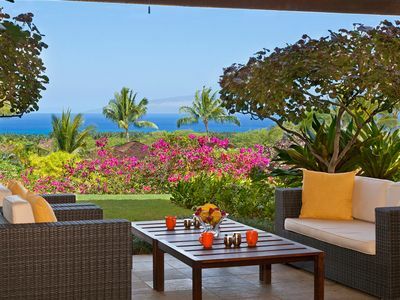 The home showcases tropical details in each room for an island ambiance. 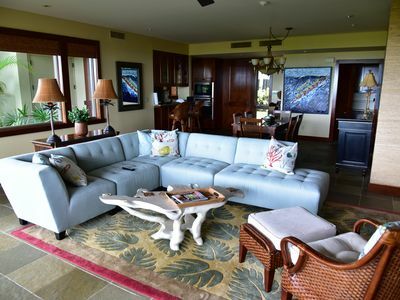 The living room is arranged with seating circled around a flat screen TV. 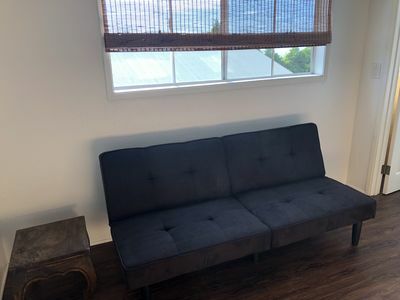 The couch functions as a sofa sleeper for two guests. A washer and dryer are assembled handy for any wet bathing suits. A large kitchen is equipped with all appliances a chef could need to whip up anything from scrumptious snacks to gourmet meals. A built-in breakfast bar has seating for four, great for any guests who wants to keep a conversation going with the chef in the kitchen. 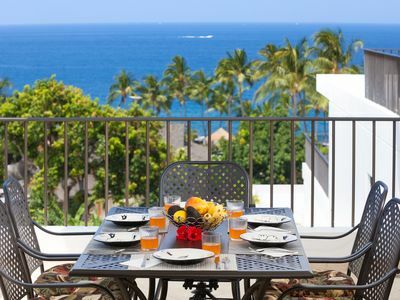 Dine alfresco by bringing your meals outside. 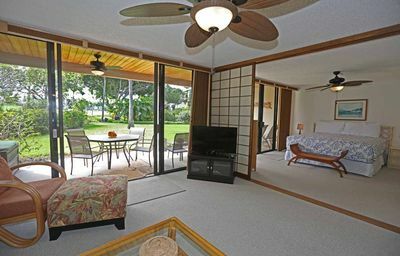 The lanai is screened off and has patio seating and lounge chairs. 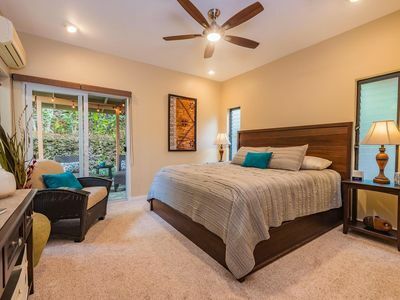 The master bedroom is furnished with a luxurious King-sized bed and access to a lanai. 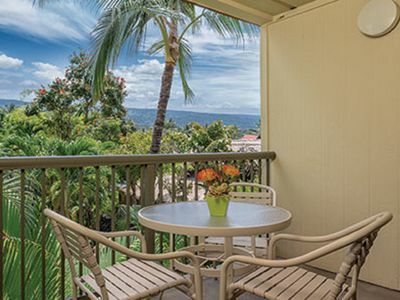 Bring a good book and relax on the lanai while ocean breezes keep you cool. The master bathroom has dual sinks and a walk-in shower. 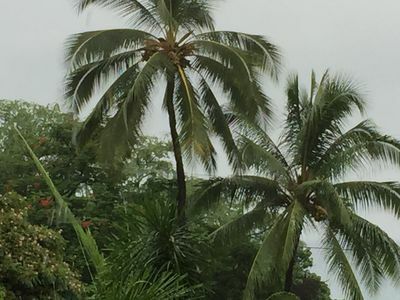 Kahaluu Bay Villas offers a variety of other amenities for their guests. There is one parking space (#21), an outdoor swimming pool with surrounding lounge chairs, and a BBQ station. 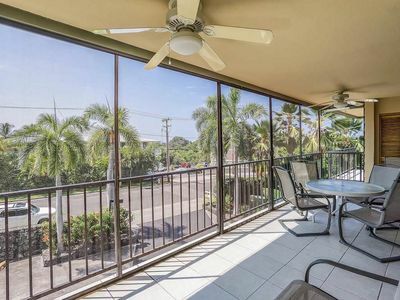 Spacious 2 Bedroom Condo Steps from Ocean! 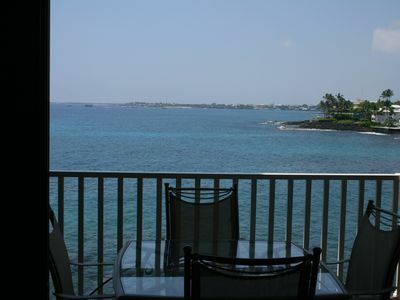 DIRECT OCEANFRONT Corner Ground Floor Kona Isle D-4! 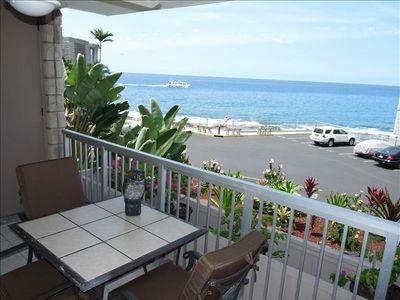 Oceanview Deluxe Condo - a Sweet Spot!! Budget Friendly, ** rates starting at $80 per night**, waterfront complex. Great Location! WiFi! Air Conditioning! Pool! Hot Tub! NEW! 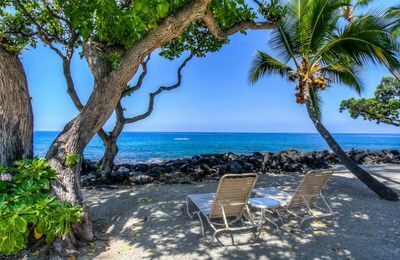 Relaxing Tropical Getaway Near Kona & Beautiful Beaches. 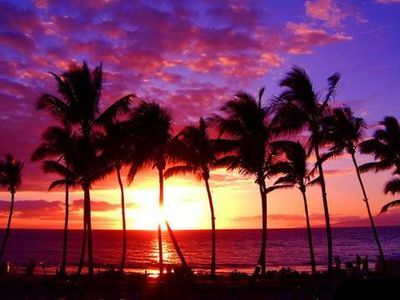 Spectacular View!